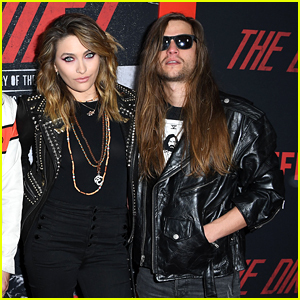 Paris Jackson and Gabriel Glenn embrace some puppy love during a dog-walk on Thursday (April 11) in Los Angeles. 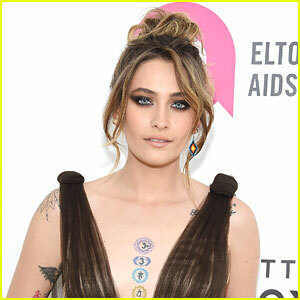 The 21-year-old model and actress wore a short, striped sweater dress, boho-chic sunglasses and boots on the stroll with her pups. Gabriel kept it casual in jeans and a graphic tee for the outing. 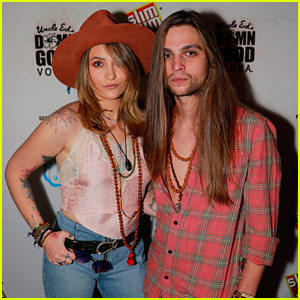 Paris and Gabriel are also bandmates and will perform together as The Soundflowers at Bella Thorne’s pre-Coachella party on Friday (April 12). The Soundflowers have another gig coming up next month. 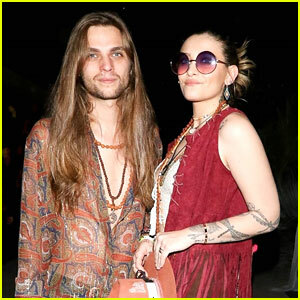 The band will perform at the Rocko de Mayo concert on May 5 at the Roxy Theater in Los Angeles. 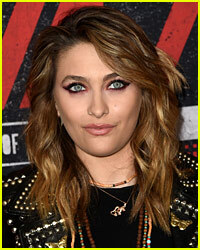 How Is Paris Jackson Doing Amid All the Rumors About Her? 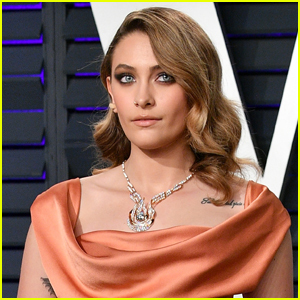 Paris Jackson & Gabriel Glenn Pair Up at Elton John's Oscars Viewing Party!